. :CVS Classic Veterinary & Surgical Udyog:. 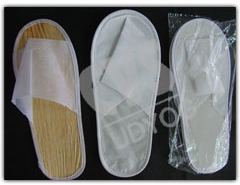 Disposable nonwoven slippers and shoes covers. We can make disposable hotel slippers and factory, hospital shoes covers according to customer's requests. Disposable items for hotel and hospital. We can make nurse caps, headband, face mask and other products for hotel, hospital, factory, entertainment chamber and so on. Website Design & Developed by Nimbus Adcom Pvt. Ltd. a Software Development Company in Delhi.